1. How long have you been a part of the ROOST team? We formed ROOST in January of 2014. Prior to that I owned another real estate franchise and worked with a local real estate firm. 2. What’s the number one myth that you hear about the Real Estate market that you’d like to clear up? It’s a myth that the market is in bad shape right now. Well cared for houses priced right are selling very well right now and will continue to. 3. What is your favorite part about helping people find their next home or helping people sell their current home? The best part of my job is helping people list and sell the home they currently live in while at the same time helping them find and purchase their new home. There are a lot of moving parts that have to be coordinated but my job is to make the complex as simple and stress-free as possible. 4. In your opinion what makes ROOST a different kind of real estate company? We built this brand to be Smart, Passionate, Supportive, and Approachable. ROOST is the real estate company I always wanted to work for. 5. What is the one thing you would tell someone who is hesitant to list their home out of fear of the market? Many people think they still owe too much on their current mortgage to be able to successfully list, sell and move to a new home. The market has changed a lot in the last few months and they owe it to themselves to have qualified professional take another look at their situation. Give us a shout – it costs you nothing and you may be surprised. 6. When you’re not working at ROOST what hobby occupies your time? I have to admit dreaming about what ROOST is going to look like in the next five to ten years takes up a lot of my time. I do however love to run trails, ride my bike, and take beach vacations. My wife Kelly and I go to the movies almost every Saturday afternoon as well. 7. What is one thing that most people don’t know about you? Kelly and I have been married for almost 28 years and we have two grown daughters. Gretchen who is our Property Manager at ROOST and Sara who is studying to be a chef in Columbus. We have both in the house. I really enjoyed the new Richard Linklater movie, Boyhood, this year. Definitely in my top 10 of all time. If you love movies this one is a winner. Chris McAllister was born and raised in Springfield, Ohio and graduated from The Ohio State University with a degree in Communication in 1982. He also earned a Master of Arts in Organizational Management (MAOM) in the late 1990’s via the University of Phoenix online campus. Chris worked in single and multi-unit retail management throughout the Midwest and Northeastern United States from 1985 through 2000. His last assignment was opening and managing Target stores on Long Island and in Queens NYC. Chris and his family moved 17 times during his retail career and learned a lot about how to help people making big moves in their lives. Chris returned home to Ohio in late 2000. He entered the real estate business as a licensed sales agent in Ohio in 2001. He earned his broker license in Ohio in 2003 and became a licensed broker in Florida in 2013. He was a RE/MAX franchisee from 2003 to 2009 and was affiliated with Real Estate II, a well- established local brokerage from May 2009 until December 2013. Chris has also invested in rental properties over the last decade and co-wrote the book We Lost $1,000,0000 in Real Estate in Less than Five Years – And You Can Too! The book, released in 2009, details the ups and downs Chris and his partners experienced in hopes that their readers avoid making the same mistakes they did. Chris and The McAllister Team were recognized by the Ohio Association of Realtors as a Top 5 award winner for transaction sides closed in 2010, 2011, 2012, and 2013. In addition, The McAllister Team manages hundreds of individual housing units within a 50 mile radius of downtown Springfield. Chris’s wife Kelly also works in the business as the accounting manager. Chris’s daughter Gretchen is the firm’s property manager. Chris and Kelly have another daughter Sara who resides in Columbus, Ohio. Chris’s unique ability is creating business opportunities and strategies designed to support and add value to the lives of real estate professionals and their clients. 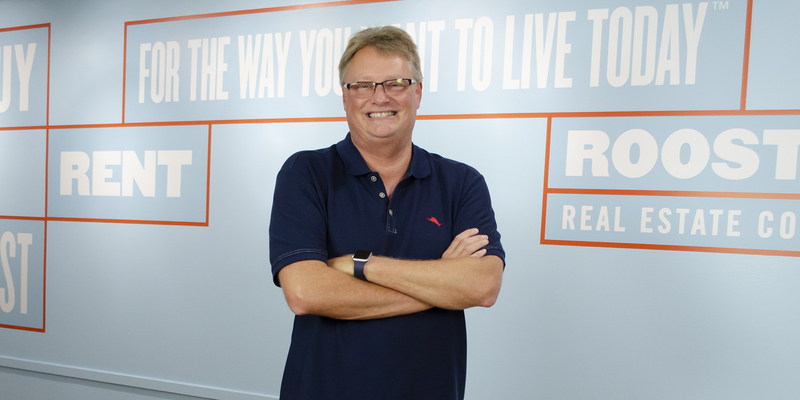 Chris created ROOST Real Estate Co.TM as his platform for helping people get the most out of their real estate investments whether they are investors, owner occupants, or tenants. Interested in Chris’s other published works? Visit his Amazon Author page here.